We KNOW guitar pedals and know what power they need! 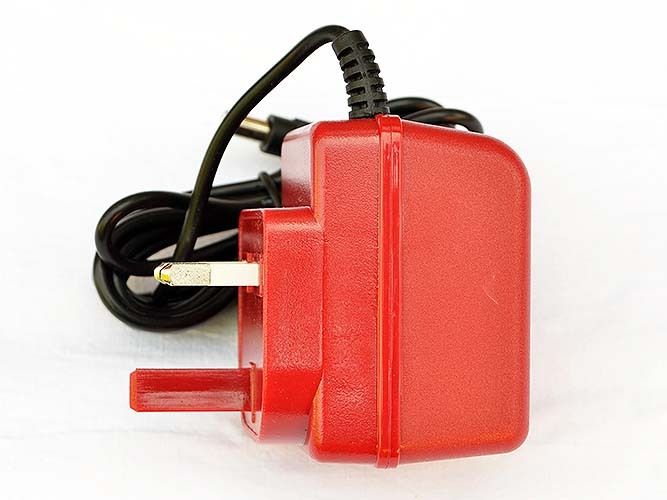 We have tested virtually all available power supplies in the price range with disappointing results to find that the only solution was to design our own! 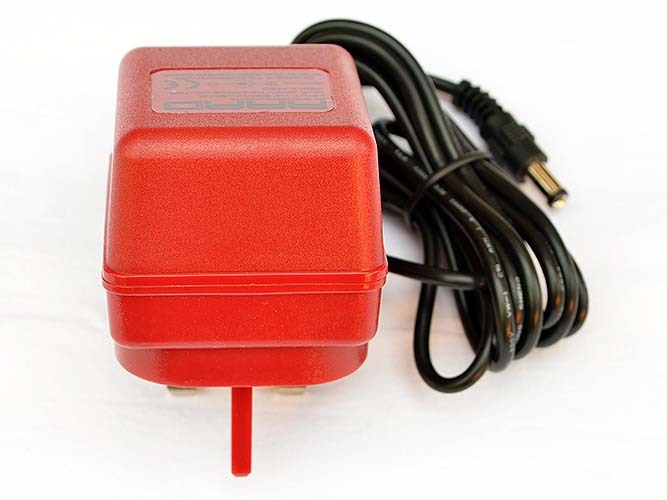 Power supply is the most commonly overlooked yet probably the single most important piece of gear in your guitar set up! 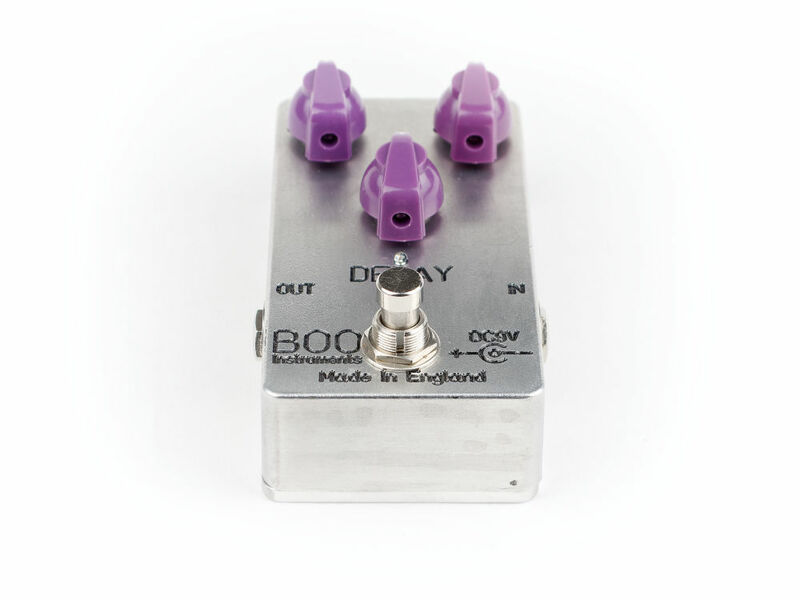 If you ever experienced hum (from poorly designed units) or SQUEAL (from SMPS aka switch mode supplies), then you need to try out our purposely designed unit and get a quality solid sound you deserve. 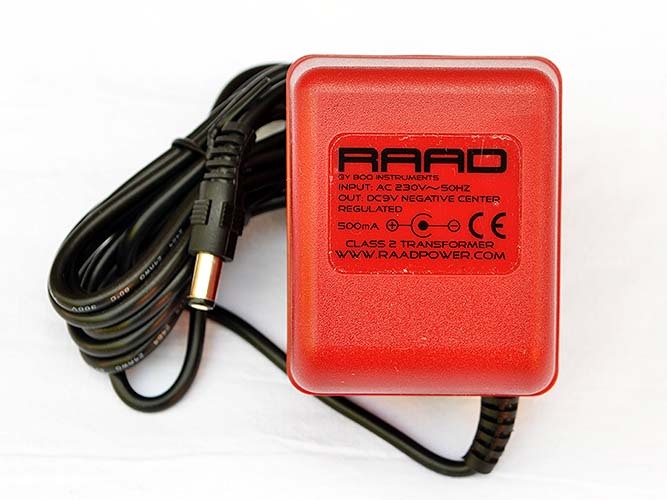 Limited edition RAAD power supply, DESIGNED IN ENGLAND by Boo Instruments and the ONLY supply in the price range with WARRANTY!!! 12 MONTH WARRANTY! 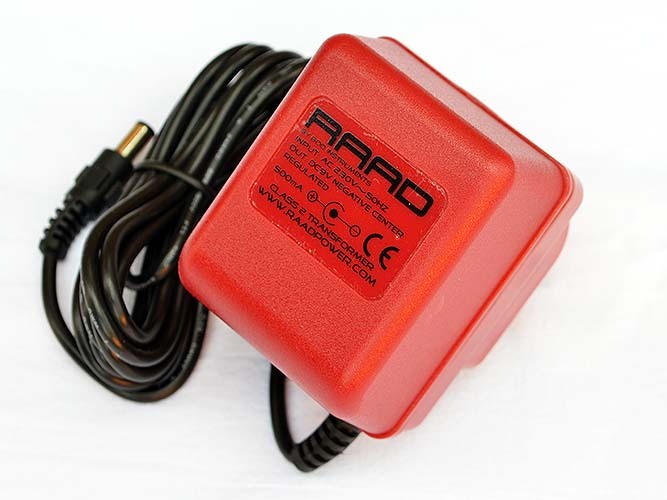 -Regulated Class 2 transformer type (linear), ultra super quiet 9V DC supply for guitar effect pedals. 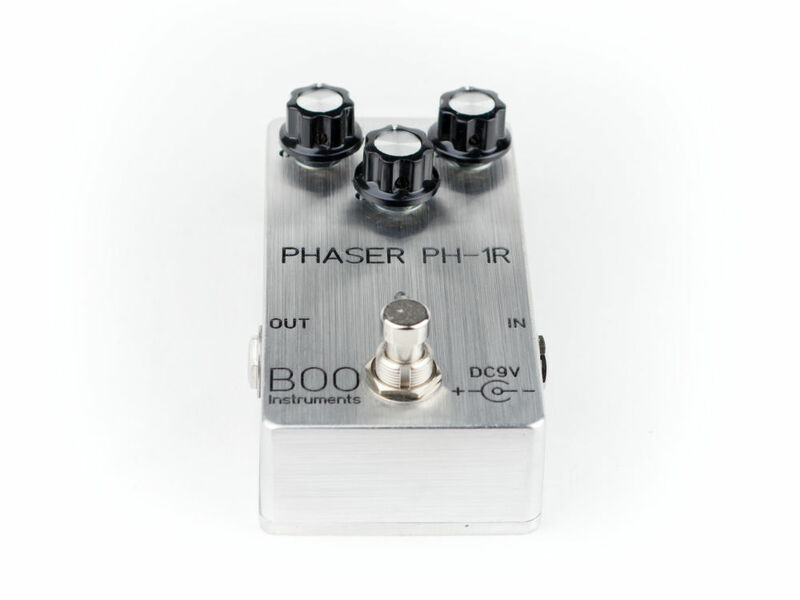 -Negative Tip or Center negative configuration which is standard for 99.9% of all guitar pedals which use a boss type power supples. -Overload protected as an additional safety feature so virtually indestructible! 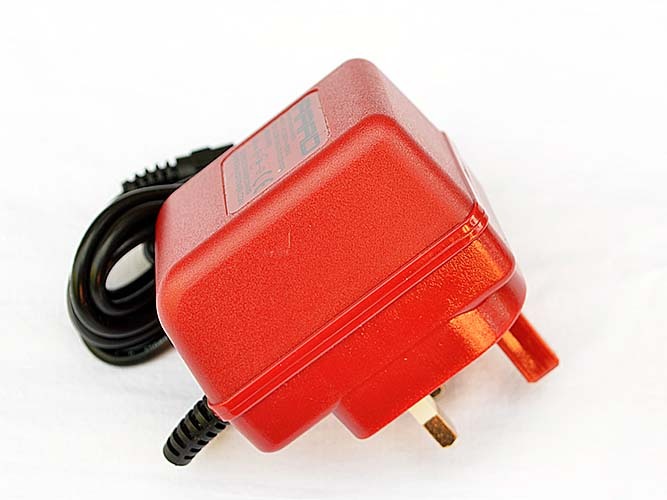 -Available in 100mA, 200mA, 300mA and 500mA ratings. 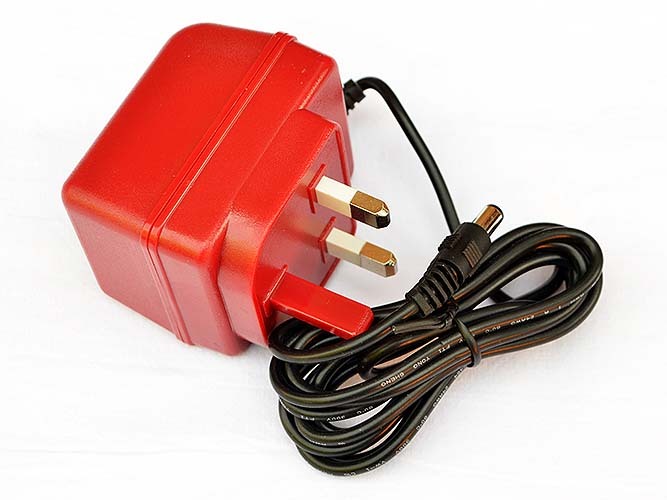 -Plug is a standard 5mm with 2.1mm center. 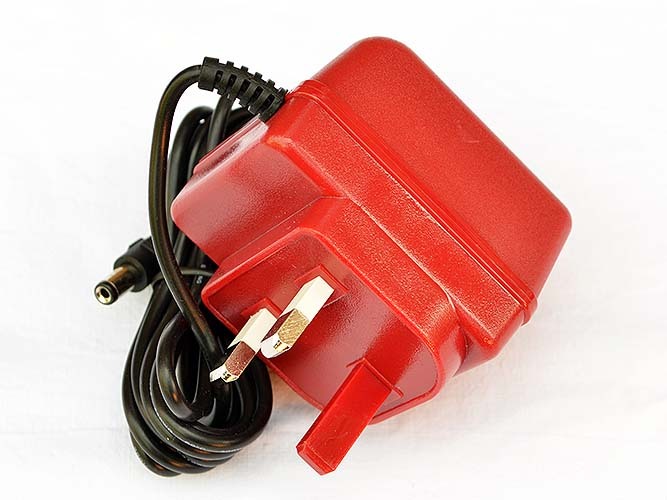 This supply will work with virtually any pedal that needs a 9V DC power. If in doubt please ask. There is only a very limited run of these available at the moment so grab the opportunity to own one!